Scalability is a key factor for any ERP solution’s ability to deliver optimal performance, and future proof a customer’s business. 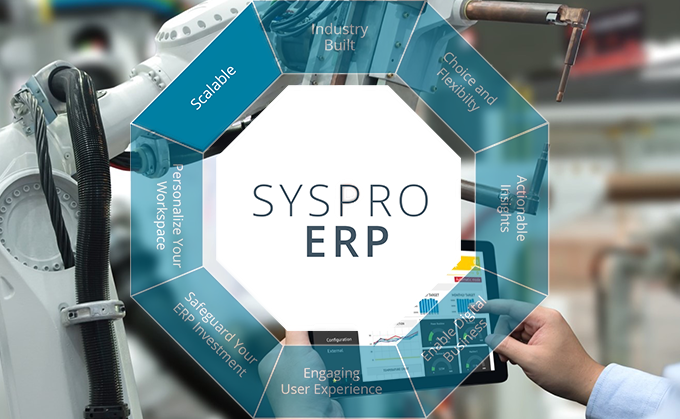 It makes it easier for an organization to implement new functionality as its needs change, and enable better management of the addition of new processes and/or departments to the business’s ERP ecosystem says Russell Hollick, Chief Software Architect, SYSPRO. In January 2018, the World Economic Forum (WEF), in collaboration with McKinsey & Company, released a white paper titled: The Next Economic Growth Engine Scaling Fourth Industrial Revolution Technologies in Production. It makes for interesting reading. The big question is whether your organization is really ready for growth? While everyone wants to turn a profit, for many businesses, the prospect of a sudden increase in sales, can be daunting. The key to successfully handling seasonal, or welcome but un-projected growth is agility, and scalability – the ability to adapt quickly, and to respond effectively to change in demand in the marketplace. Today’s customer is far more demanding. They want more customized products, and they want them faster than ever before. Demand however is often fickle, consistent only in its inconsistency. Rapid growth brings a number of challenges. It’s not just more customers that you need to satisfy in order to maintain your reputation, you’ll also need to handle more data, and manage more resources. Being able to efficiently scale your operations up when demand is high, and down when it is quieter, is critical to business success, and sustainability. It can be a catalyst for growth into new geographic areas, or allow you to offer new products or services, to answer to market demand. Having a future-fit ERP system gives you a clearer view of the big picture, and the ability to manage it more efficiently. It enables you to understand inter-departmental relationships, and the potential impact that scaling one area of the business will have on another. When your business grows, your ERP system should be able to grow with you, and give you a choice of how you’d like to deploy it. It should do so with minimal incremental costs or disruption to the business. A system with optimized scalability will reduce the complexities associated with growth, and will introduce an efficiently designed system of reporting and workflows, making the process of scaling your business that much easier. There are a number of factors that will impact a system’s scalability and performance. SYSPRO’s latest ERP release has a simplified software architecture that has significantly improved performance. Benchmark testing has confirmed that this release has achieved better throughput with the same hardware, and operating system software, especially under high loads. By adding another traffic lane to SYSPRO’s software performance highway, we’ve increased transaction throughput, thus alleviating potential bottlenecks. In some cases, we’ve seen it run 30 percent faster, and at maximum load it can deliver over 250 percent improved transaction throughput, says Hollick. Another benefit of an improved, simplified architecture is that it requires less configuration. Overall, the solution has been optimized across the board to deliver greater scalability and higher availability with less planned downtime for maintenance, and enterprise-strength data integrity – all while offering excellent performance. As we begin to see more key shifts in production driven by Fourth Industrial Revolution technologies, the necessity of being agile, and able to scale manufacturing businesses with ease, is clear. Whether you’re rolling out new technological solutions across one, or many sites, having a scalable, future-ready ERP system in place, will help to enhance productivity and business performance, allowing it to achieve its full growth potential.